We are a members' club, affiliated to UK Athletics and England Athletics. Everyone is welcome and membership is available from 9 years of age to senior. We cater for a wide range of athletic disciplines: indoor and outdoor Track and Field, Road Running, Cross Country, Sportshall Athletics and we have members who compete in Fell Running and Triathlons. The purpose of this page is to give you as much information as possible about the Club. Lots more information is available on other pages but if you can't find what you are looking for, just ask one of our coaches or contact the Secretary, Chris Henders, 07940-333-040. The club can trace its origins back to the 19th century and the establishment of Waterloo Harriers. See link for a Brief History of the club. The basic age groups are under 13 (and at least 11 on the day of competition), under 15 (13 and 14 year olds), under 17 (15 and 16 year olds), under 20 (17 - 19 year olds) and seniors. For juniors, you need to know what age you are on 31st August. So if your 15th birthday is on 6th September then on 31st August you are 14 and an under 15 for the track and field season in that year and the following cross-country and sportshall athletics seasons, even though by then you are 15. For the under 20s, the qualifying date can be either 31st August or 31 December depending on the competition. For seniors the qualifying date is 31st December and vet age groups are then determined by age on the date of competition. Vet (or masters) categories start at Vet 35, for women aged over 35 and under 40, and Vet 40, for men aged over 40 and under 45. All these leagues provide competition for both male and female members. For most league meetings, team managers select two athletes per event to cover the complete track and field programme, with each athlete usually able to compete in a maximum of three events ( under 20s 4 and seniors more in some leagues) plus a relay. More athletes are able to compete in the Mid Lancs League - up to 8 in track events - making these matches an ideal opportunity to test performances and experiment with new events. 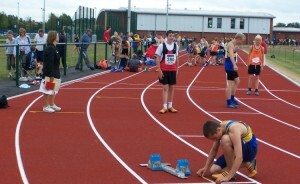 Our members compete in the Merseyside County Track & Field Championships in May with some athletes going on to compete in the Northern Athletics and even higher Championships. In addition, many of our young athletes compete in both the Merseyside County Schools and the English Schools National Championships. Open meetings are also held regularly throughout the summer at venues such as at Litherland, Wavertree, Stretford, Wigan, Blackpool and Warrington. In recent years, there has been an increased availability of indoor track and field facilities with 200m, banked synthetic tracks at Sportscity, Manchester, and at the English Institute of Sport in Sheffield. A number of our Club athletes, particularly sprinters, now compete at open indoor meetings in December through to March and in the Northern Athletics and England Athletics (formerly AAAs) Indoor Championships. Traditionally, cross country running has been the backbone of athletic participation during the winter months. It provides regular competition for all age groups from 9 upwards and the races always generate an atmosphere of friendly competition combined with a great team spirit. 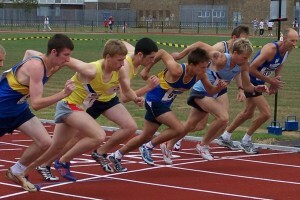 There is no maximum number for club participants per race; anyone can run. The Club competes in the following cross country leagues. The Liverpool and District has a championships race in February. The Mid Lancs has numerous team and individual awards based on the best four performances from the 6 fixtures. An annual awards evening in April is combined with a popular disco. Distances vary per age group, ranging from 1.5 miles (2 kms) for the youngest to around 7 miles (10 - 12 kms) for senior men. The ground conditions vary from course to course. All are off-road over grass, hills, sometimes through woodland and often nice and muddy in places. Weather conditions can also make a difference so warm, dry clothing is essential. Cross Country running is heartening for the soul but it can be bad news for the washing machine! The Club is a member of the North West Sportshall Athletics League and this provides competition for under 11, under 13 and under 15 boys and girls, with running, jumping and throwing events in an indoor setting. There are four league fixtures, usually held in sports leisure centres, and a NW regional final each year. Sportshall Athletics originated in North West England. It is now well established through Britain and leagues have sprung up in many other countries. 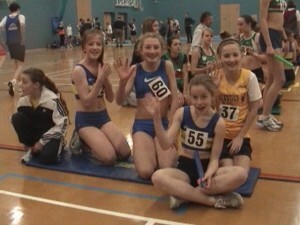 It is great fun for youngsters and parents alike and an excellent way to start an athletics career. Road Running is a major part of the Club's activities providing opportunities for all from the happy jogger to the elite runner! Events of various distances are well publicised in the athletics press, but you can contact the Road Running Secretary and find out which races other members are entering and which are Grand Prix events. Although most open events cater primarily for senior runners, many also have fun runs making for a family day out. The Club organises three annual Grand Prix competitions linked to performances within a series of (a) road races, (b) fell races and (c) with effect from 2019, trail races. A number of races are selected for inclusion in each Grand Prix and the best performances used to decide male and female winners and male and female Vet winners. Trophies are presented at the annual Awards Evening in December. Further information is on the Road Running page. The Club organises and promotes several events each year, with each firmly established on theathletics calendar. This traditional, informal run on New Year's Day morning from Blundellsands coastguard station in Hall Road to the Fisherman's Rest, Weld Rd, in Birkdale, takes in some 13-14 miles of scenic Sefton Coastal Path. Club seniors have enjoyed this start to the new year since the coastal path opened in 1990. 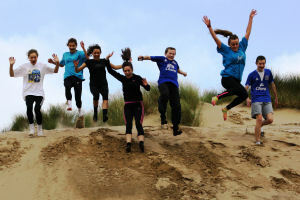 We host a cross country championships for School Years 5 and 6 in Sefton. 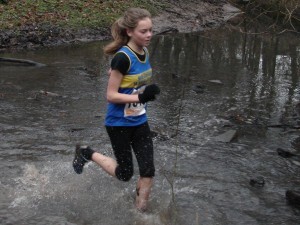 Held in March, the event gives younger runners an opportunity to experience competitive cross country running in conditions that are suitably challenging for their age. The event has run since 2008 and moves to different venues across the borough to allow all schools to take part. These old fashioned one mile races in Victoria Park, Southport, are held early on a Wednesday evening in mid May with school and individual awards made on the evening. The races attract teams from many Sefton schools with separate races for boys and girls in individual school year groups. Runners who are not entered by their school can still come along and take part as individuals. Our home base moved to Litherland Sports Park in July 2006 and a popular open track & field meeting is now held there regularly in August / September. The following gives a general outline of our main, regular training sessions. These are liable to change so if coming along for the first time you are advised to contact your coach or running leader. The club currently has a number of qualified coaches covering a range of athletics disciplines, all of whom are supported by an active Club policy for furthering their coaching qualifications. We are very much a family club and it is always encouraging when parents take an interest and help out at training sessions and go on to take a qualification themselves. Courses are organised by the UK:A in regional locations throughout the year with the Club refunding course fees. The club also has qualified Technical Officials. Opportunities exist for parents and others to assist our Track and Field officials at league meetings, gaining a greater knowledge of events while enjoying a closer involvement in athletics. See our contacts page for further information about coaches, officials and team managers. 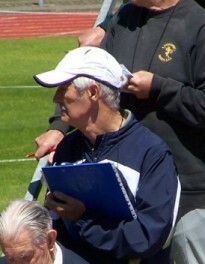 A coach is often hired for Club track and field away fixtures - particularly for the Youth Development League (U13/U15). For other cross country, sportshall athletics and senior-only events, car sharing can be arranged either at training sessions on the week before competition, or by team managers when organising the teams. To help keep subscriptions down to probably the lowest in the North West, the club has a Saturday bonus ball lottery scheme which, although fully subscribed at present, has vacancies from time to time. The cost is £13 per quarter with an 80% return in prize money. Vacancies are advertised on the Bonusball page. This web site is regularly updated to bring you the latest news and results. Check out our News pages. Southport Waterloo AC operates England Athletics' complaints and disciplinary procedures. Should any member or parent / guardian of any member have a complaint it is suggested that they try to resolve it with the person complained of in the first instance. If they remain dissatisfied, a formal complaint made to the Chairman, Keith Lunt, will be looked into by the Club. The Club colours are royal blue vest with a gold band and royal blue shorts. A club vest must be worn at all times when competing for the Club. Vests and croptops for competition are available from Ron Scott (01704 566995). Royal blue running shorts can be bought at any sports shop. Children's vests are £11.50, adults £12.50. Croptops £12.50. See the online shop for training kit such as jackets, T-shirts, polo shirts, hoodies and tracky bottoms. a good pair of trainers for sportshall athletics, road running and road relays. Copyright © Southport Waterloo Athletic Club 2019. All rights reserved. 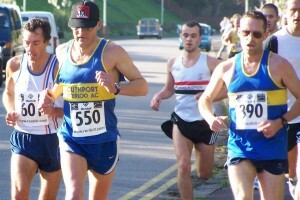 Southport Waterloo AC is affiliated to England Athletics and UKA .